IEC 62116:2014 provides a test procedure to evaluate the performance of islanding prevention measures used with utility-interconnected PV systems. 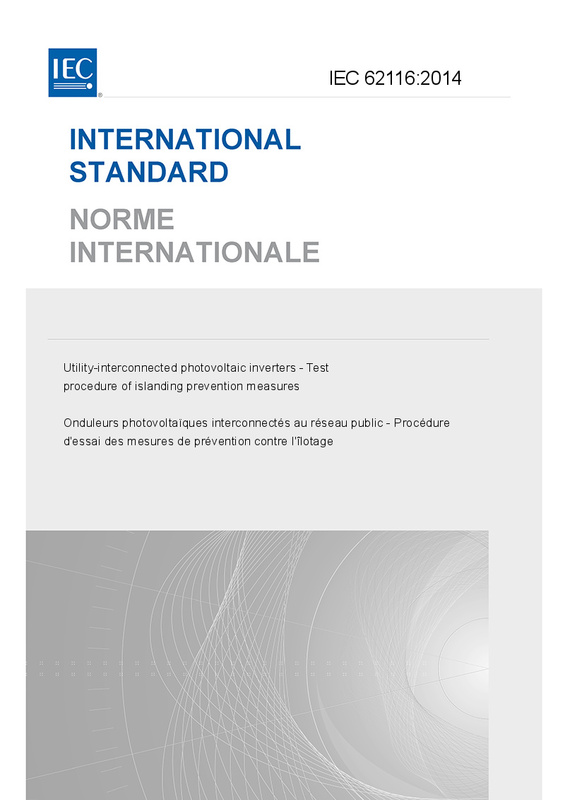 This standard describes a guideline for testing the performance of automatic islanding prevention measures installed in or with single or multi-phase utility interactive PV inverters connected to the utility grid. The test procedure and criteria described are minimum requirements that will allow repeatability. Major changes with respect to the previous edition concern the DC power source and test conditions.